The Exadata engineered system has already proved itself to be a foundation for Oracle’s overall strategy for the hybrid cloud. As a modular system, its resources can be scaled out, adding nodes for compute and storage independently. That fits the bursting and flexing model for enterprise clouds. 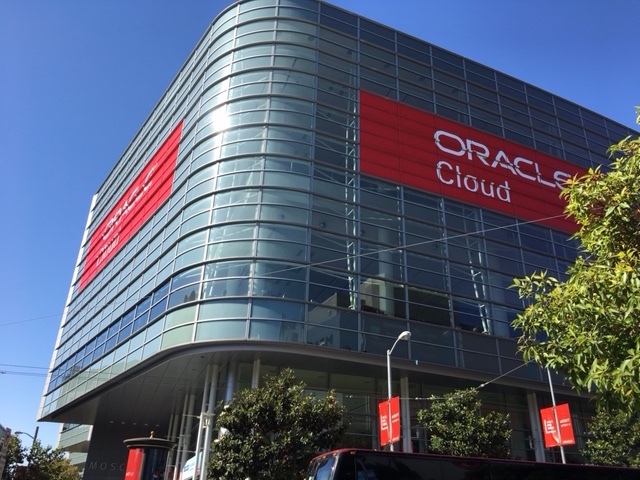 Now, Oracle is looking forward to future cloud deployments, enhancing the Exadata platform with an Exadata X7 system, and announcing Oracle Database 18c, which Oracle calls the autonomous database for cloud computing. The core idea for 18c is to bring about an autonomous mode of database operations, reducing the hands-on manual management of adjusting and optimizing Oracle Database parameters. The strategy is to coordinate the hardware enhancements and software functionality to automate optimizations of the Oracle platforms for the Oracle public cloud – and for Oracle’s Cloud at Customer on-premise installations of its cloud technology. Oracle sees these optimizations as a competitive advantage – and has added on-site cloud capabilities to the mix. The company’s Cloud at Customer strategy addresses customer requests to maintain cloud data within the enterprise data center due to security concerns, or compliance with governmental regulations for in-country data management. This research note will look at both aspects of the cloud strategy, with analysis of the Exadata X7 Database Machine and Oracle 18c Autonomous Database announcements made at Oracle OpenWorld in San Francisco in October. Oracle Database 18c is scheduled for general shipments in 2018. [Note: The “18” in the product name shows that it’s a 2018 release, and the “c” stands for cloud]. Oracle presented the Exadata X7 and Oracle Database 18c as the leading product announcements at Oracle OpenWorld. Automated features are intended to reduce management tasks requiring IT staff intervention, and to address security issues that often surface over time, without being visible to operators and administrators. These features are designed to address the operational issues associated with large cloud computing deployments. We expect that many longtime Oracle Exadata customers will look at migrating workloads to the Oracle Cloud, or at installing one or more Exadata systems on-premises. These on-premises clouds will be managed by Oracle through its Cloud at Customer program. The Cloud at Customer deployment option puts Oracle Cloud technology on-site for customers that have workloads and data that has to remain on-premises, for reasons of security or governmental compliance. The Oracle Exadata X7 engineered system supports both OLTP and analytics, across a range of mission-critical workloads. These are the two primary workloads that run on Exadata systems – which means that the enterprise applications (e.g., ERP, HCM) will be run on other types of Oracle engineered systems. When used on-premises, Exadata often provides a consolidation platform for dozens, or even hundreds, of Oracle databases. In many cases, it is a consolidation platform that gathers many databases that had been installed onto many systems onto one or more Exadata systems for simplified management. For off-premises cloud workloads, the Exadata X7 will host customers’ workloads in the Oracle Cloud, or in the Cloud at Customer offering, which hosts cloud workloads as an on-site private cloud managed by Oracle. It’s worth noting that the Oracle Cloud has more than 20 “regional” centers worldwide, with 10 of them supporting IaaS workloads across the Americas, EMEA and Asia/Pacific (inclusive of Japan). Having heard the Oracle announcements for many years, we can say that Oracle is providing a consistent computing environment for on-prem and off-prem uses of its Oracle software products. That continues a design goal that Oracle CTO and Executive Chairman Larry Ellison has been articulating for more than five years. Exadata’s form of modular deployment suits this moment in computing – as the individual server nodes are based on Linux and Intel-based x86 server nodes, both of which are building-blocks for cloud computing. More demand means adding more server or storage nodes – unlike the inflexible build-to-peak-demand systems of the scalable systems era in the 1990s. The Exadata X7 systems have server nodes for compute and a separate set of dedicated storage nodes — all of which are housed together in cabinet-style racks for the data center. Software optimizations boost the performance of Oracle databases running OLTP, analytics, data warehousing and database consolidation workloads. The modular Exadata design has allowed Oracle to leverage the latest Intel Xeon x86 processor (Skylake), moving it forward with each Intel Corp. update. As announced, the Exadata X7 system was configured with twice the flash capacity, 25% more disk capacity and 50% more memory capacity than its predecessor, the Exadata X6. The Exadata systems are sold in a number of configurations, starting with a 1/8 rack, scaling up to full-rack and multi-rack configurations. The Exadata Database Machine X7 is the eighth generation of the product, which first shipped in 2008. Key hardware competitors for Exadata X7 include: IBM, Dell/EMC and HPE, which come to market with a range of hardware designs ranging from scale-out to scale-up systems. Key cloud computing competitors for the Oracle Cloud include: Amazon Web Services (AWS), Microsoft Azure, and the IBM Cloud. One of Oracle’s key marketing messages is that it will ensure consistency between on-prem and off-prem computing operations. By using the Oracle Database 18c database, designed for autonomous operations, the system becomes more automatic, which Oracle expects will reduce ongoing maintenance costs. The top three benefits of Oracle Database 18c, as articulated by Oracle executives are that it is: self-driving (automatic deployments based on DBA-defined policies), self-securing (improving security via encryption) and self-repairing (maintenance promoting high availability and uptime). The ability to have databases self-tune and self-maintain will affect customers’ approaches to hybrid cloud – encompassing both on-prem and off-prem computing. Inherent in this push for automation is the redefinition of the traditional role of database administrators (DBAs), who have trained in Oracle technologies, tuned database implementations and managed database operations for years. The emergence of cloud technologies is affecting the timeframe for these changes – as cloud computing makes day-to-day DB operations more complex and challenging. As a result, Oracle should acknowledge the contributions of its large DBA base – and offer to take them along on their journey to new roles related to cloud computing. For Oracle Cloud and Oracle’s Cloud at Customer on-prem cloud service offering, these autonomous database technologies will help Oracle personnel to manage large numbers of customer databases running inside the Oracle Cloud – and support private clouds installed at customer sites. Oracle 18c will help Oracle, as well as its on-prem customers, to reduce operational costs, including personnel costs, to support future versions of the Oracle Database. It is now clear that Oracle is optimizing the Exadata system as a primary engine to support customer consolidation of Oracle databases, and Oracle application workloads. The consolidation process optimizes Oracle’s system-level software and database software to run on Oracle’s enterprise Linux distribution – called Oracle Linux, with the Unbreakable Enterprise Kernel (UEK). Linux/Intel nodes, which are extensively used by the hyperscale cloud service providers (CSPs) for massive scale-out computing, are being employed to support scale-up workloads, including large multi-terabyte (TB) databases and heavy enterprise ERP workloads. That’s why the role of the current Oracle Database 12.2 , Oracle Database 18c in 2018, and future versions, are so vital to the Oracle Cloud. From the customer’s standpoint, the system resources inside the Oracle Cloud provide services, while the hardware specifications are not visible, or needed, for deployment. That reduces the need for hand-tuning of hardware and software to work together. Going forward, the Exadata optimization process will be aided by: leveraging of Intel x86 processors; modular hardware design; flexible management software; and automated database functionality. Jean is a senior industry analyst focusing her research on server technology, storage technology, database software and the emerging market for Software Defined Infrastructure (SDI).